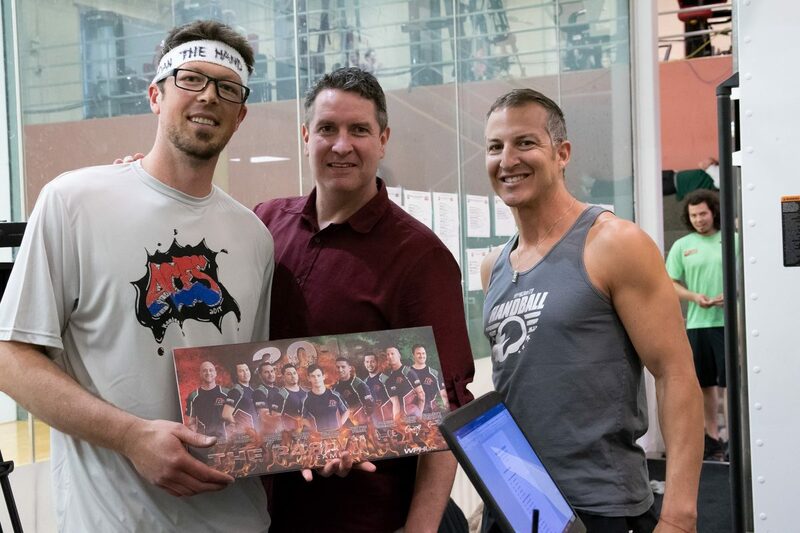 Salt Lake City, UT, WPH Press, 5/10/18– The World Players of Handball was thrilled to honor the longest-tenured Race 4 Eight hosts with a special autographed Race 4 Eight Men’s Elite poster at the 2018 Aces Player’s Championship, demonstrating the WPH’s tremendous appreciation to Ace Recycling and Disposal for seven incredible years in Salt Lake City. The Ace Disposal Team, headed by Lon and Matt Stalsberg, are the only city to have hosted a Race 4 Eight event in each year of the tour, making Salt Lake City one of the WPH’s most loyal and cherished partners. Salt Lake City’s Aces R48 events have included three regular season stops and four R48 Player’s Championships, showcasing the Men’s R48, WR48, and SR48. The players have voted the Salt Lake City Aces the “Player’s Stop” seven years running for the incredible hospitality, camaraderie, and generosity of the Aces staff and volunteers. The Aces staff treats the Race 4 Eight stars like family, from airport pickups, mountain tours, accommodations, endless hospitality, and much more.